I use Windows 10 on my desk computer. It seems to be an uncompatibility with W10 on my desk computer. Of course, avr-g++ exist, Path :Arduino>Hardware>tools>avr>bin ! But answers are not credible. Uninstalling Arduino and installing it again doesn't solve this problem, Can you help me? Thanks! After the compilation fails you'll see a button on the right side of the orange bar "Copy error messages". Click that button. In a forum reply here, click on the reply field. Click the </> button on the forum toolbar. 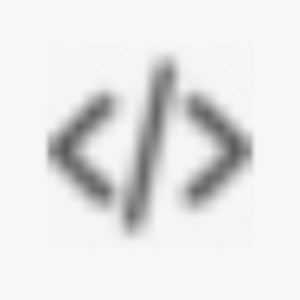 This will add the forum's code tags markup to your reply. Press "Ctrl + V". This will paste the compilation output between the code tags. Move the cursor outside of the code tags before you add any additional text to your reply. If the length of the output exceeds the forum's 9000 character limit, save it in a .txt file and post it here as an attachment. If you click the "Reply" button you'll see the "Attachments and other options" link. Arduino: 1.8.2 (Windows 10), Board: "Arduino/Genuino Uno"
"C:\Users\PierreYves\AppData\Local\Arduino15\packages\arduino\tools\avr-gcc\5.4.0-atmel3.6.1-arduino2/bin/avr-g++" -c -g -Os -w -std=gnu++11 -fpermissive -fno-exceptions -ffunction-sections -fdata-sections -fno-threadsafe-statics -Wno-error=narrowing -flto -w -x c++ -E -CC -mmcu=atmega328p -DF_CPU=16000000L -DARDUINO=10802 -DARDUINO_AVR_UNO -DARDUINO_ARCH_AVR "-IC:\Users\PierreYves\AppData\Local\Arduino15\packages\arduino\hardware\avr\1.6.23\cores\arduino" "-IC:\Users\PierreYves\AppData\Local\Arduino15\packages\arduino\hardware\avr\1.6.23\variants\standard" "C:\Users\PIERRE~1\AppData\Local\Temp\arduino_build_57669\sketch\sketch_mar19a.ino.cpp" -o "nul"
"C:\Users\PierreYves\AppData\Local\Arduino15\packages\arduino\tools\avr-gcc\5.4.0-atmel3.6.1-arduino2/bin/avr-g++" -c -g -Os -w -std=gnu++11 -fpermissive -fno-exceptions -ffunction-sections -fdata-sections -fno-threadsafe-statics -Wno-error=narrowing -flto -w -x c++ -E -CC -mmcu=atmega328p -DF_CPU=16000000L -DARDUINO=10802 -DARDUINO_AVR_UNO -DARDUINO_ARCH_AVR "-IC:\Users\PierreYves\AppData\Local\Arduino15\packages\arduino\hardware\avr\1.6.23\cores\arduino" "-IC:\Users\PierreYves\AppData\Local\Arduino15\packages\arduino\hardware\avr\1.6.23\variants\standard" "C:\Users\PIERRE~1\AppData\Local\Temp\arduino_build_57669\sketch\sketch_mar19a.ino.cpp" -o "C:\Users\PIERRE~1\AppData\Local\Temp\arduino_build_57669\preproc\ctags_target_for_gcc_minus_e.cpp"
"C:\Program Files (x86)\Arduino\tools-builder\ctags\5.8-arduino11/ctags" -u --language-force=c++ -f - --c++-kinds=svpf --fields=KSTtzns --line-directives "C:\Users\PIERRE~1\AppData\Local\Temp\arduino_build_57669\preproc\ctags_target_for_gcc_minus_e.cpp"
"C:\Users\PierreYves\AppData\Local\Arduino15\packages\arduino\tools\avr-gcc\5.4.0-atmel3.6.1-arduino2/bin/avr-g++" -c -g -Os -w -std=gnu++11 -fpermissive -fno-exceptions -ffunction-sections -fdata-sections -fno-threadsafe-statics -Wno-error=narrowing -MMD -flto -mmcu=atmega328p -DF_CPU=16000000L -DARDUINO=10802 -DARDUINO_AVR_UNO -DARDUINO_ARCH_AVR "-IC:\Users\PierreYves\AppData\Local\Arduino15\packages\arduino\hardware\avr\1.6.23\cores\arduino" "-IC:\Users\PierreYves\AppData\Local\Arduino15\packages\arduino\hardware\avr\1.6.23\variants\standard" "C:\Users\PIERRE~1\AppData\Local\Temp\arduino_build_57669\sketch\sketch_mar19a.ino.cpp" -o "C:\Users\PIERRE~1\AppData\Local\Temp\arduino_build_57669\sketch\sketch_mar19a.ino.cpp.o"
In the Arduino IDE, click the link on the line following File > Preferences > More preferences can be edited directly in the file. This will open the C:\Users\PierreYves\AppData\Local\Arduino15 folder. Delete all files and folders under the Arduino15 folder except for preferences.txt. Please be very careful when deleting things from your computer. When in doubt, back up! Verify that you can now use your Uno before reinstalling any packages via Boards Manager. You're welcome. I'm glad to hear it's working now. Enjoy!